Fern the Green Fairy is lost in a leafy hollow. Can Rachel and Kirsty solve the secret of the garden, and save her? Come and join the girls on their Fairyland quest. Who ever knew fairies could be so exciting? 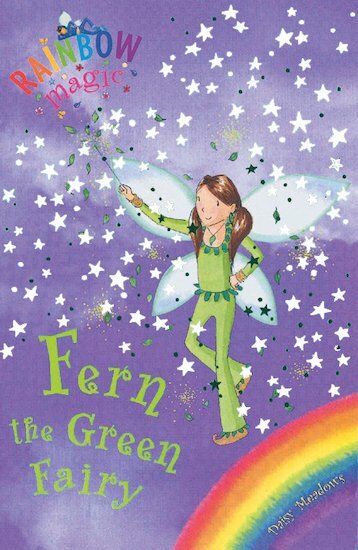 They have to find fern the green fairy. fern is a beautiful name and green is a splendid color also this a cool book! My favorite book in the rainbow fairies series. I got this book from my local library the antrim library a couple of weeks ago and it was super good and now I can’t wait because I am going today to see if there is more Rainbow Magic books:)Really Good! I’m glad she made it back to the-pot-at-the-end-of-the-rainbow! read it, it is brilliant.